This year for teacher gifts, I wanted to make something cute and useful at the sometime. 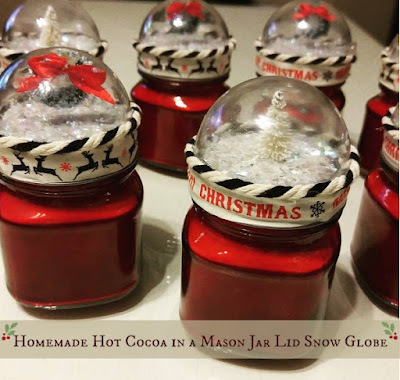 I opted to make homemade hot coco and instead of using normal mason jars, I opted to go with red mason jars and convert the lids into faux snow globes! I could not find the plastic ornaments I linked to above in store, so I had to go with the photo plastic ornaments instead. They worked fine, just had that extra plastic nub at top. To remove it, I used a lighter to warm the plastic ornament top. Not too close or it will blacken. Once plastic was warm, I used my fingers to work fast and push the hot plastic down to make it completely circular. I then used hot clue to glue the wreath to the top of some ornaments. 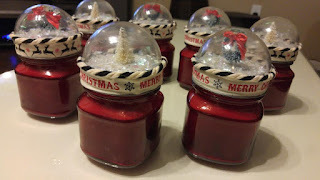 I cut the wood base off the trees and used hot glue to get the trees to the top of the mason jar lid. Then I put Tacky Glue all over the lid and sprinkled on some fake snow onto it. 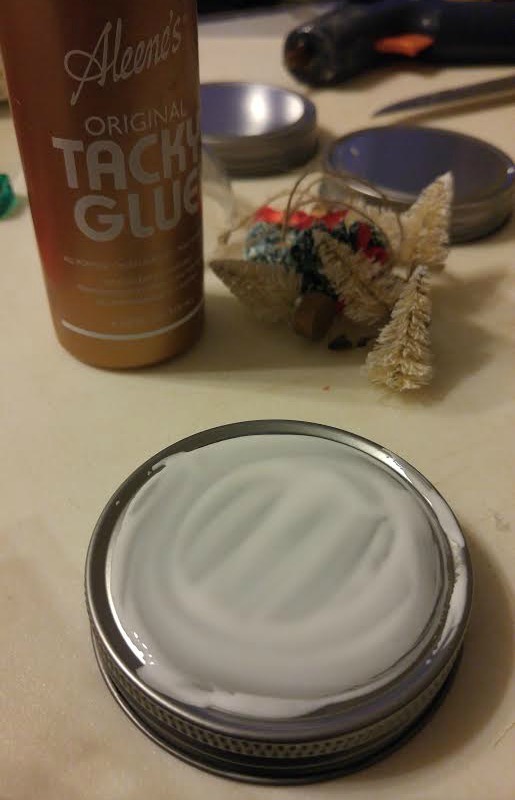 Hot glue/Tacky glue the ribbon around the mason jar lid. To secure the ornament on top, put a bead of hot glue on the top of the mason jar and lightly push the ornament in it. Next place another hot glue bead around where the jar meets the ornament. Push the jute ribbon or bakers twine into thge hot glue. This covers the seam and secures the snow globe more. 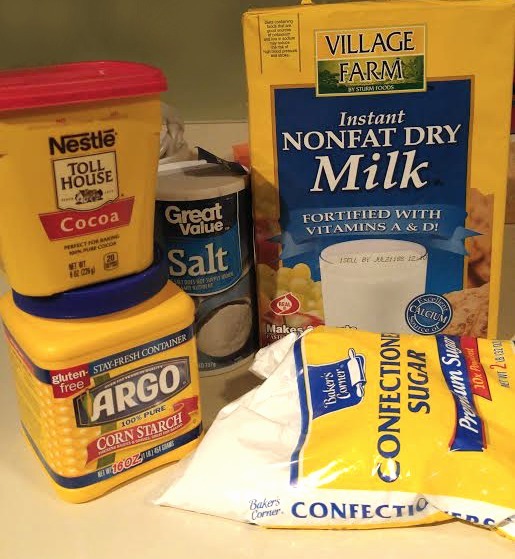 Mix above together and scoop into jars. I doubled my recipe to fill 8 small jars. Make sure to shake the jars and tap out air bubbles to get the most hot cocoa mix in the jars!